More than 60 members of the U.S. House of Representatives on Jan. 29 urged Secretary of State Mike Pompeo to publicly condemn the anti-LGBTI crackdown in Chechnya. U.S. Reps. Eric Swalwell (D-Calif.), David Cicilline (D-R.I.), Lee Zeldin (R-N.Y.) and the other lawmakers in their letter also urged Pompeo to pressure the Russian government to end the crackdown. The Russian LGBT Network earlier this month said at least two people have been killed and upwards of 40 others have been detained in Chechnya, a semi-autonomous Russian republic in the North Caucasus, since late December. Novaya Gazeta, an independent Russian newspaper, in 2017 reported Chechen authorities had arrested more than 100 men because of their sexual orientation. 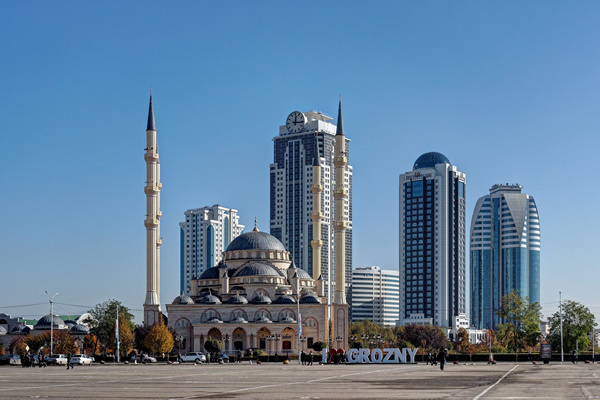 The Organization for Security and Cooperation in Europe last November released a report that documents extrajudicial killings and other human rights abuses against LGBTI people in Chechnya. The U.S. House and Senate have both approved resolutions that condemn the crackdown. Igor Kochetkov, executive director of the Russian LGBT Network, this month filed a formal complaint about the most recent detentions with Russia’s Investigative Committee. Chechen President Ramzan Kadyrov — a close ally of Russian President Vladimir Putin — and the Kremlin have either denied the reports or downplayed them. Deputy State Department Spokesperson Robert Palladino in a Jan. 17 statement said the State Department is “deeply disturbed” by the latest reports from Chechnya. President Trump — who is under increased scrutiny over his alleged involvement in the Russian government’s interference in the 2016 presidential election — has not publicly commented on the crackdown.